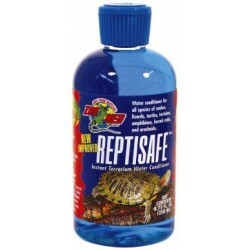 Reptile Turtle Water Treatments - The Serpentarium, Inc. 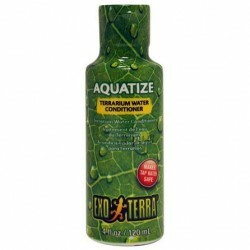 The Exo Terra Moss Ball helps provide crystal clear water and reduce odors. 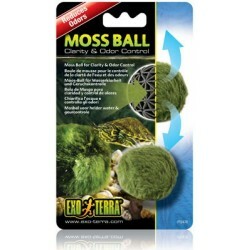 Designed to resemble its natural counterpart, the Exo Terra Moss Ball contains a special absorption resin that helps reduce many of the compounds that encourage unsightly organic matter accumulation. 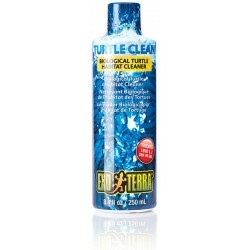 Time-release sulfa block helps to control a variety of disease-causing organisms, including salmonella, for the safety of pets and owners. 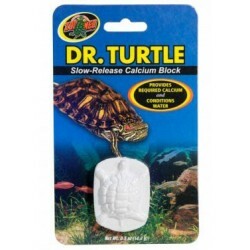 Each turtle-shaped block treats up to 20 gallons.